THROUGH MY ART, I explore my place in the world and how I am connected. I live in Santa Cruz, CA, but grew up Greek, in Youngstown, Ohio, an edgy little steel town with a diverse ethnic population and many 1st generation families with myths & superstitions from the ‘old country.’ Most people I grew up with went to psychics, had their cards read, wore protection against the evil eye... 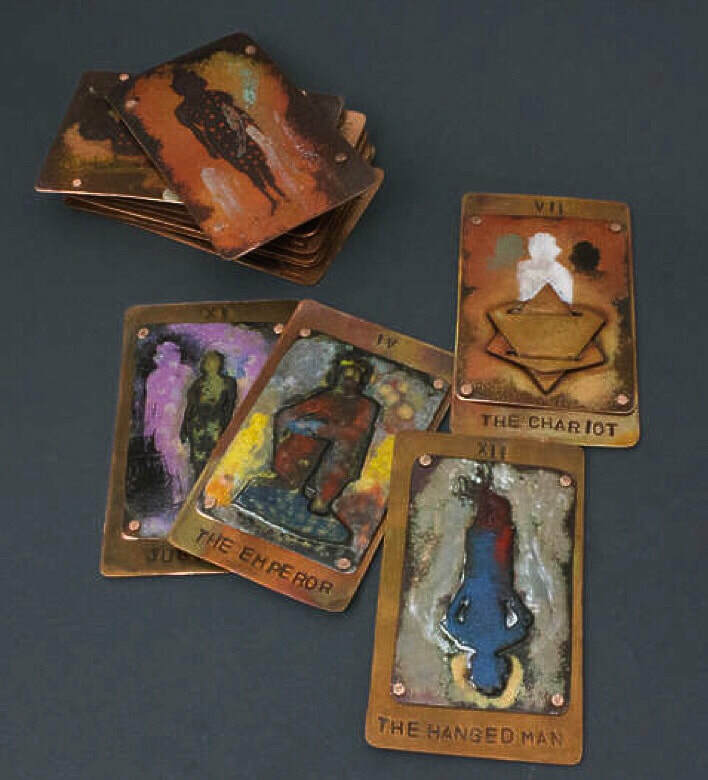 This influenced me to make a deck of the Tarot’s major arcana in metal with torch-fired enamels, reaching deep inside myself for ways to artistically interpret the messages the cards had, bringing metal with many experimental enameling techniques to life. 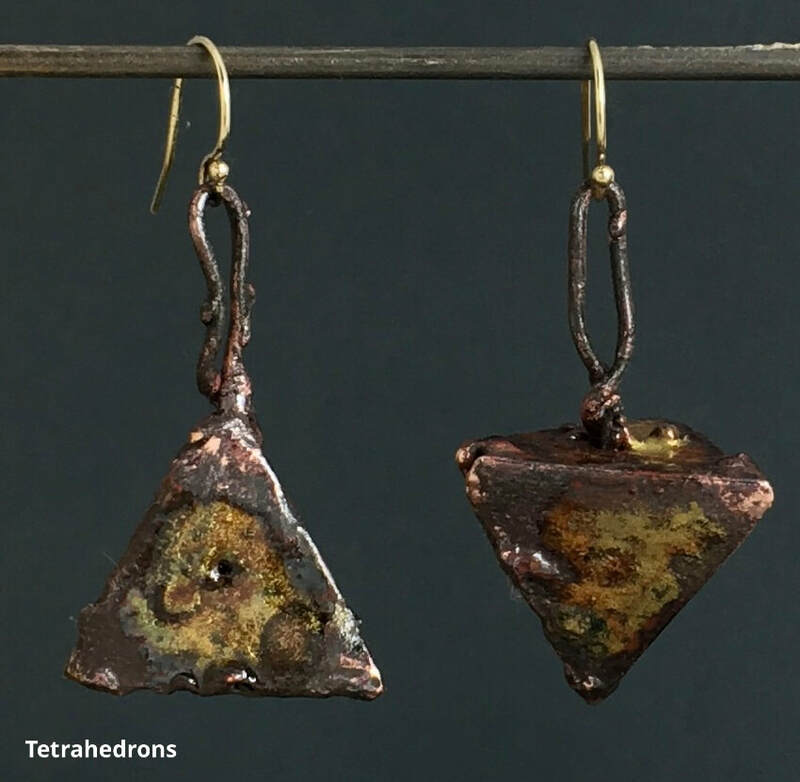 I add & embed unusual things into enamels like foils, salts, glass, steel, wire, graphite. 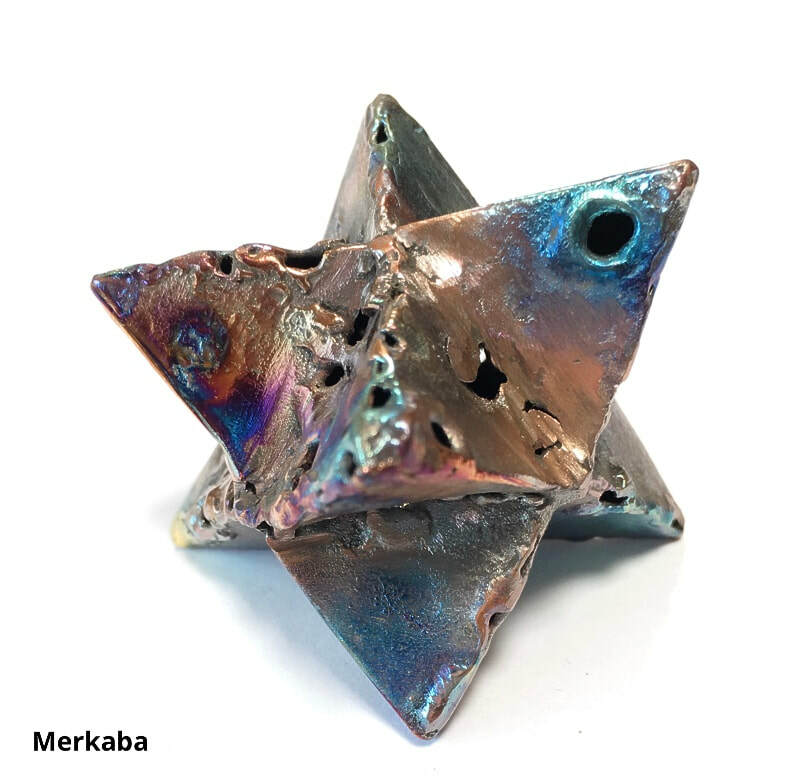 ​My (re)search took me deep, not only with enameling, but into sacred geometry which led to fold forming - tetrahedrons, dodecahedrons, merkabas… merkabas are the divine light vehicle allegedly used by ascended masters to connect with and reach those in tune with the higher realms. Theoretically it is 2 superimposed star tetrahedrons counter rotating creating fields of light. I fold the metal and weld the seams together creating a rugged version. 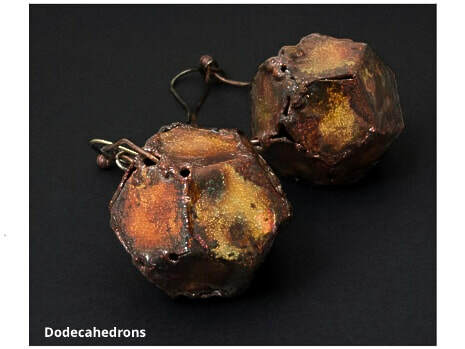 Along with the metal tarot, I have included objects and jewelry inspired by the cards. Let me know if you want me to read your cards!